Benjamin Franklin is one of the most widely acclaimed and popular person in the American history. His undeniable charm and practical wit make him endearing. He was very committed, intelligent, and realistic to the middle-class virtues industry and thrift that make him commendable. He became the epitome of the first America to most people and thus referred to as one of the founding fathers of America. He was a great author and he came up with many pieces of writings addressing different important issues. Some of his pieces that are discussed in this paper include the remarks concerning the savages of North America, the rules by which a great empire may be reduced to a small one and lastly, information to those who would remove to America. However, the ultimate aim of this paper is to explain the pieces above in detail that any person may understand them easily. Savages refer to the manners portrayed by different nations concerning the perfection of civility. Different nations have different savages because each people have their own manners that differ from other people in other nations. For example, there are no polite people who do not have some shreds of rudeness or no people so rude that they do not have rules of politeness. The Indian men when they are young they serve as hunters and worriers. When they get old, they become councilors and this made them council of sagas. This means that no officers, no prisons to reinforce obedience or inflict punishment. Therefore, their main study is about oratory where the best speaker is the most influence (Franklin, p12). Indian women on the other hand dress the food, until the ground, nurse and bring up children after which they preserve and hand them down to posterity the public transactions’ memory. These basic actions of men and women are accounted natural and honorable because they have minimal artificial wants as well as a lot of leisure time for improvement through conversion. However, in America the manners are very different as compared to the Indians. The American see it as being slavish and base and the learning that is highly treasured by Americans is taken to be frivolous and useless (Walter, p18). This was proved during the anno 1744 Lancaster treaty between Virginia government and 6 nations. The aim of the meeting was to settle the principal business deal among them. When all was settled, the Virginia commissioners explained to Indians that there was a college called Williamsburg that was willing to fund Indian youth be educated as well as the youths of the 5 nations. The Indian leader went on to say that there are some of their young men who were brought up at the Northern Province colleges where they were instructed in all sciences. After the course, the youths became ignorant of their own means of living, unable to withstand cold or hunger, unable to take a deer or kill an enemy, unfit for hunters, warriors, or councilors. In general, they were good for nothing and therefore they refused the offer (Houston, p31). They also suggested that they did not refuse the offer with bad heart and to show their gratitude, they were also ready to take good care of the young men of Virginia, instruct them, educate them and make men out of them. He goes on to talk about the politeness of the savages in their conversation, which do not allow them to deny the truth, and it helps them avoid disputes. The only problem is that you can never know their minds when you talk to them as they listen with patience and at last, they give the token of assent and approbation. You may think that you convinced them but that is not the case, it is pure civility. Benjamin goes on to give other examples showing the civility of the Indians. He gave the example of the missionaries who tried to convert them to Christianity and the Swedish minister who gave them historical facts about the principals of their religion (Franklin, p33). Instead of accepting what the Suedish minister told them, they appreciated and told of some of their historical facts. He goes on to say that when they visit the towns of whites; most people wish to see them, gaze at them and incommode them at their desired privacy. They normally attend meetings in their nation, which they call good teaching meetings. Benjamin once attended such a meeting when he visited his friend Hanson and he moved out when he became suspicious that they were talking about him and his beaver business. He goes on to tell how a foreign person is given a warm welcome with the whites, fed and provided with luxury sleeping place and in return, he gives nothing. When the same happens with the Indians, they will normally ask you for money and if you do not have, then you will be treated like a dog by being abused a stupid Indian and eventually chased away (Gary, p57). These I what they call good manners that they usually learn in their good manners meetings that is the vice versa of what the whites do as they were instructed by their mothers while young. In Remarks concerning the savages of north America, the tones that were employed by Franklin are technical, speculative and humanistic tones. the point that Franklin drove home using these tones is that the Indians had different behaviors and manners that made them reject the gospel and all the news about Christ that they were informed first by the missionaries and then by the Swedish minister. 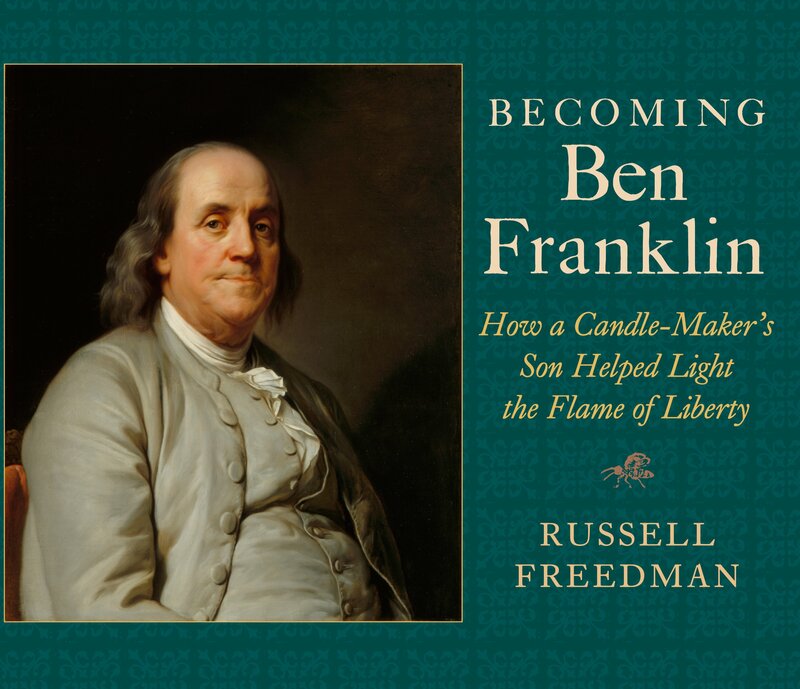 Franklin had grown up a Puritan and became a great supporter of the evangelical movement as he embraced the radical notion of egalitarian democracy. Franklin was a great evangelical advocate together with Whitefield and they fought hard to gain the religious freedom (Horne, p78). They claimed the liberty of conscience to be unchallengeable right of every rational creature. All this time, they employed the corrective and motivating tones to inform people that they had lost and that they should turn back to Christ. In the piece, he winded up by saying that the Indians had a poor civility as compared to the perfect civility by Americans. He meant that the Americans were far off in gospel as compared to the Indians who were nil and were still rejecting it because of their much faith in their cultures and traditions. This is absolutely different to what the ministers and evangelists of today do who only use the motivating and encouraging tones to gain favor from people that their churches may be full. Benjamin Franklin wrote this piece to address all the Ministers who had extensive Dominions to manage where the greatness gave them trouble to govern as the affairs’ multicity leaves no fiddling time. The rules he gave out are as follows. To begin with, he said that a great empire is like a cake that could easily diminish at the edges. Thus, he urged them to focus on their remotest provinces where they could get rid of them in that order. Secondly, he said that there was high possibility of separating the provinces and taking special care of them as the mother country ignores them thus, they do not enjoy the same privileges and rights. They also have severe laws governing them (Cuizon P45). Thirdly, he talked of how the settlers acquired, purchased, or conquered the remote provinces without the Mother country’s aid. He went on to state that incorporation of these remote provinces was a privilege to the mother country as it increases its citizen’s number that in turn increase war strength, her commerce by the growing manufacturers demand, increase of naval power. Thus, it was a privilege to embrace the remotest provinces. Fourthly, however peaceably the colonies have delivered to the country’s government, responded well to the country’s interest, and patiently borne their lamentations, the country is supposed to predispose to revolt and treat them accordingly. Fifthly, the remote provinces should have judges and a governor to represent the royal person as well as executing the delegated office and authority parts everywhere (Hart and Leininger, p47). This is because, even the ministers are aware that the government’s strength depends on the opinions of the people. However, the selection of such people should be done carefully because these people may turn against the head of state. The best people to be selected are the prodigals who have ruined their fortunes or the stockjobbers. Sixth, confirmation of the impression can be done by striking deeper the suitor who comes with complaints of Mal-administration, oppression or injustice. Punish them with long delay, big expense and a final judgment that favors the oppressor. Another rule is that when such governors have crammed their coffers and made themselves so hateful to the people that they cannot stay with safety any longer to their persons, remember and award them with pensions. Besides, when in war your colonies should be able to vie in liberal aids of men and money against the common enemy. In addition, when laying the taxes, never look upon the heavy burdens that the remote people already go through when doing things like defending their own frontiers, making new roads, supporting their provincial governments, building bridges, churches and other public edifices. Next is that the people may comfort themselves by saying that although they have no property, they have constitutional liberty to defend, both of person and of conscience (Jay, p67). Another rule is making the tax odious by misapplying the produce of it. Besides, you should apprehend the governors and judges who have the satisfaction and support from the people of any province. Urge them to continue treating people kindly as well as doing them justice. Moreover, you should order harassment and continuous dissolutions to the parliament of your provinces that dares to claim or complain of your administration. Be able to convert the brave and honest navy officers into pimping, tidewaiters and colony officers of the customs. Other rules that Benjamin Franklin gave out include; never believing in discontents that you are told in your colonies, assume they are general thus never think of applying any remedy or of changing an offensive measure (Franklin, p78). Let nothing offend you, even when the rival nations rejoice at the prospects of your disunion with the provinces, just ignore them and move on to settle all the challenging aspects. The tones employed in this piece are ethical, incendiary and motivating tones where he employed a guiding style to all the governing ministers. He talked about the basic principles that need to be followed by the ministers who governed large dominions (Houston, p45). The piece was very effective and motivating in the politics of America since many dominions faced challenges that they could never overcome easily. Majority of the rulers in the US adapted the rules and they were all successful. Therefore, his guidelines and principles were very effective and they still apply even today. However, the politicians of today are very different in that they normally employ humorous and the laudatory tones to win the hearts of the citizens especially during campaign periods. They therefore employ the soft and humble tones to convince the citizens to vote for them. In 1784, Benjamin Franklin wrote another pamphlet titled information to those who would remove to America. This informative essay was printed out to the European people to make clear the rumors that spread about America being a land of dreams and fantasy. He clearly outlined what was important and needed by the Americans and what was not needed and not welcomed there. The essay puts clear the way the American culture is portrayed and what they do greatly that is opposed by the Europeans. A chord within Franklin was struck by four main rumors. This made him furious and said enough is enough, the false accusations must end, and this is where this informative essay came into play (Thomas, p75). The rumors are as follows. To begin with, the rumor stated that the American people were rich and possessed a lot of properties and materials but they were ignorant. That was a false statement and Franklin proves it wrong by mentioning the America’s nine colleges or universities that have spread throughout the country. This was different from the four colleges that were located in New England. The second rumor was to admit that America was not in need of the people who wrote literature and artist and that if they move over they would not be held up on pedestal. Franklin went ahead to stress the need of work and set a good example to the others. He proved to them that he could be alone by his works were remarkable even in comparison to other European artist and literature writers. His writings were able to convince most people that indeed, what they said about America was not true. In information to those who will remove to America, the tone that was employed by Franklin was very hard and correcting. All the rumors that had spread that was false accusation about America made Franklin very furious thus he employed the hard tone to show people that he was indeed depressed of what they talked about America. He then used the acerbic, vitriolic and corrective tones to put it clear to them on what they should know about America. He really made the Europeans understand that they were mistaking America. This is different from what most ministers and evangelists do today. They normally use the soft, motivating and convincing tones that they may gain favor from majority of people. It is clear that most of them work on filling the churches so that they may gain a lot in turn. The politicians on the other hand also employ the soft tone especially when the elections are near so that they may be voted back. No one of them has ever employed the harsh and correcting tone. Their focus is on money and not correcting people on certain issues. Many people thought that Benjamin’s presence in Britain could mark the beginning of good relationship between America and Britain but unfortunately that was not the case, the British people did some sorts of things that disappointed Franklin and he responded to them through informative writing of pieces of essays. Remarks concerning the savages of North America talk about the behaviors and manners of Indians their response to certain things like advice, teachings, and other things (Franklin, p32). In rules by which a great empire can be reduced to small one, there are the basic principles that Benjamin wrote to address the ministers who had extensive dominions. The information to those who would remove to America talks about the responses that Benjamin issued to the European people who talked negatively about America in the four main rumors that were heard all over Europe. His writing made some European people to change their attitudes towards America. This developed good relationship between the Americans and European people and up to date, the relationship and coordination between the two is very strong. Thus, Franklin’s works have great influence to the modern society. The tones that Franklin employed in his writings were very effective and they had great impact. The modern society ministers and politicians have very different tones in comparison to Franklin’s. they normally work on winning people’s favor rather than correcting and guiding people.